Fig. 18. 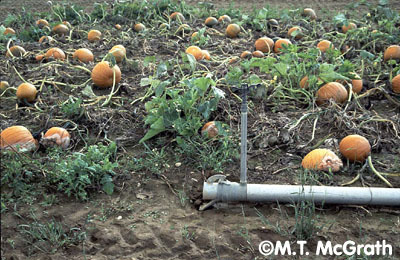 Normal irrigation practices usually do not promote development of Phytophthora blight; however, leaks, such as occurred at the end of this pipe, can cause soil to become saturated which provides favorable conditions.